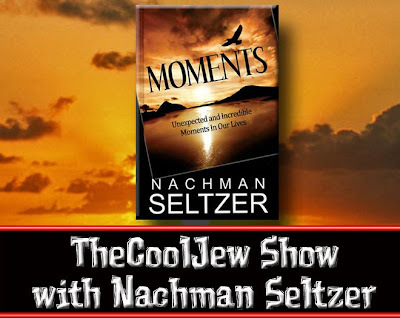 After a few months of planning and deal made with Artscroll, Feldheim, and other Book Companies we are proud to present our first book review on TheCoolJew show. The first episode is with Rabbi Nachman Seltzer, popular storyteller and columnist for Hamodia, and director of The Shir Chadasha Boys Choir in Israel. Seltzer is back with an all new book called moments with short stories that have been featured on the Hamoida. During the interview he tells us briefly about his Choir in Israel and shares some stories from his new book!